WHEN it comes to picking between cricket and baseball, don't make Eddie Illingworth choose. 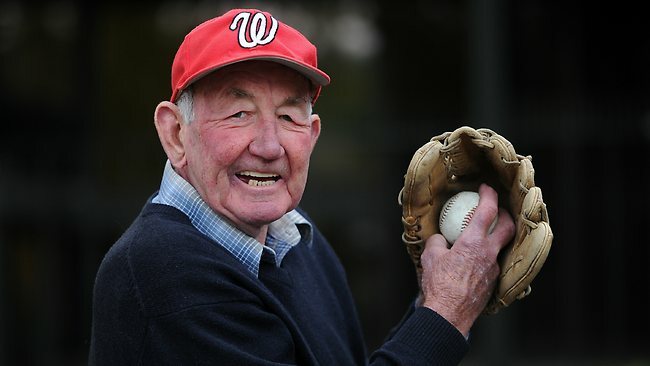 The 74-year-old Glen Iris resident was recently inducted into the Melbourne Cricket Club's baseball section Hall of Fame and, on the same night, was named in the Fitzroy Doncaster Cricket Club Hall of Fame. When it came to deciding which event he'd attend, it simply came down to which invitation he received first, with cricket getting the nod, but only just. Illingworth had an illustrious career in both sports. As a young cricketer, he was looking for a way to keep his eye in, his arm turning over and his fitness up during the winter months. Someone suggested he try baseball. In those days, for cricketers who weren't interested in playing the more popular winter sport, football, baseball was the most obvious choice. Illingworth started with the Westgarth Baseball Club, originally the Epiphany Baseball Club, as a 12-year-old in 1952. In the summer he played cricket for Fitzroy and, in a career that was to span 25 years, he was to eventually captain the Lions. Between 1957 and 1978 he took 599 wickets at 18.60 with a best haul of 8-18. Football did manage to lure him away for a couple of winters, but he eventually returned to baseball. "If I had to choose between baseball and cricket, I couldn't," he said. "I'd look forward to baseball at the end of cricket season, but vice versa also." Illingworth was one of many good cricketers who played baseball in the winter the Chappell brothers and Allan Border are among them. "It certainly helped my game," he said. "And the baseball, in turn, would also help my cricket." 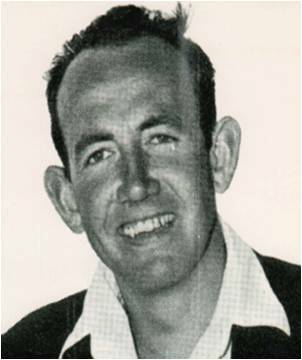 Illingworth moved on to play baseball with Melbourne, from 1960 to 1972, and quickly achieved higher honours. He was a state representative between 1960 and 1965, playing in the Claxton Shield, baseball's equivalent of cricket's Sheffield Shield. In 1975, he went back to Westgarth, and filled in if the club was short, and kept playing until 2006. At 67 years of age, he finally hung up his glove. Describing himself as a utility player a handy pitcher, good with the bat, a solid first baseman and strong in the outfield Illingworth was also named in Victorian baseball's Team of the Century in 2002. "I think it was because of my batting that I got into the side," he said. Illingworth is also a life member at Westgarth and the club's MVP trophy is named after him. To fill in his days, Illingworth now plays golf four times a week, off a handicap of 13. "I suppose I'm a bit above average," he said. "I'm a doer not a watcher." Once a year, Eddie also dons his baseball uniform to play in a curtain-raiser when Westgarth takes on Melbourne University for the Illingworth/Bitmead Trophy. "I still get out there but, after all of those years throwing baseballs and bowling cricket balls, the arm no longer does what it should or could, but it's a bit of fun," he said. Illingworth said, throughout an eventful sporting career, he'd had lots of different successes but he wasn't always striving for them. "I wasn't always concentrating on those successes," he said. "If it happened, it happened." Though he loves his golf these days, Illingworth's heart will always be with team sports. "Golf is a very individual game," he said. "I've always loved team sports. It builds character, makes you a better person and certainly gives you a better outlook on life." Unlike the professional sportsmen of today, Illingworth had to hold down a job throughout his sporting career and he was a butcher by trade. The last 32 years of his working life, he spent at William Angliss, teaching the trade. And, now that he's fully retired, Illingworth enjoys spending time with wife Pam, daughter Allison and young grandson, Liam, whom he hopes will, one day, share his love of baseball and cricket. "I'm keen to get him involved, though at age five his span of attention is not great yet, but we'll get there."